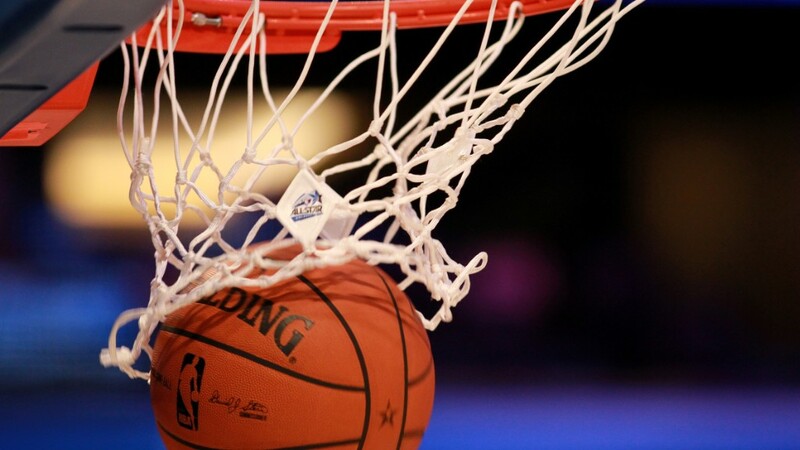 Bill Simmons goes off on Twitter about ESPN's "Mike and Mike"
Bill Simmons calls out ESPN's "Mike and Mike" on Thursday saying, "Have the b***s to call me to discuss it on the show." 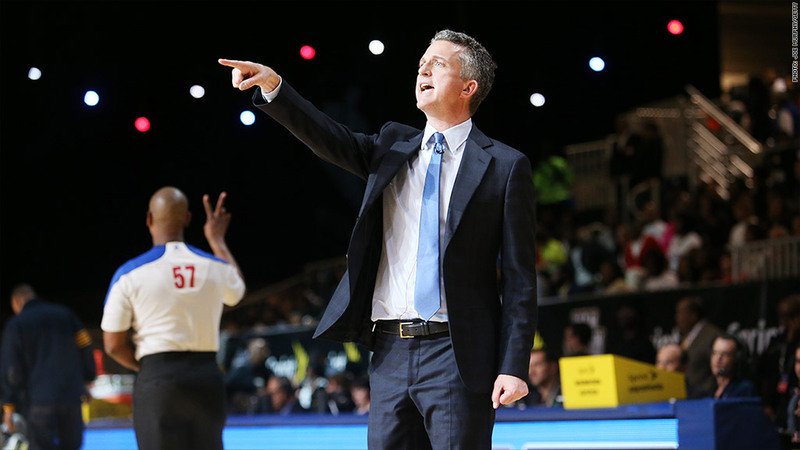 Bill Simmons' silence on ESPN didn't last very long. On Thursday he took to Twitter to rant about comments a fellow radio host made about him on ESPN's "Mike and Mike" show. Simmons is the sports commentator who was suspended a few weeks ago for making comments about NFL commissioner Roger Goodell. On Wednesday he was on the air complaining about Lebron James' early season struggles. Mike Golic called Simmons' take, "one of the most ridiculous statements I've heard four games into a season in my life in any sport." Golic also said, "That's what I'll say about Bill Simmons. So, you know, he grabbed a headline, which is something I know he loves." Simmons was not having it and sent off a string of angry tweets. 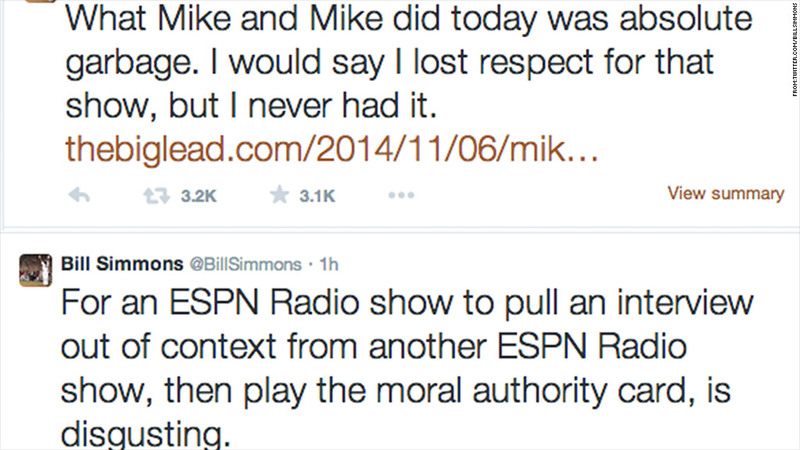 "What Mike and Mike did today was absolute garbage," Simmons tweeted. "I would say I lost respect for that show, but I never had it." He then challenged Golic personally. 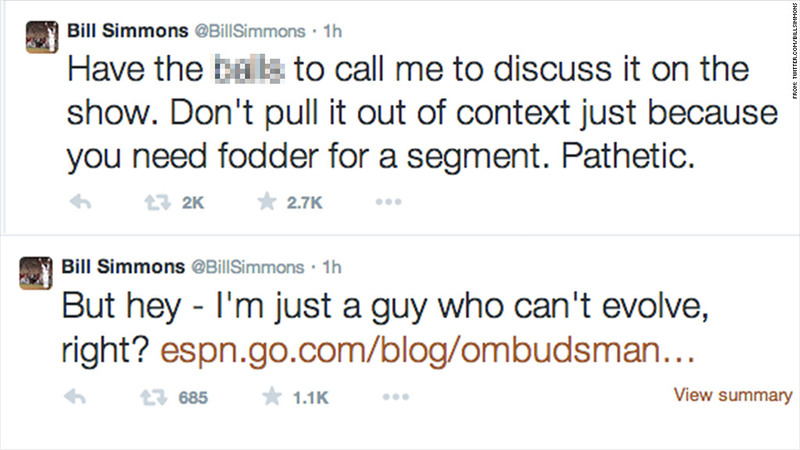 "Have the b***s to call me to discuss it on the show," Simmons tweeted. "Don't pull it out of context just because you need fodder for a segment. Pathetic." Simmons ended the rant saying, "But hey -- I'm just a guy who can't evolve, right?" which included a link to a blog post by ESPN's Ombudsman which mentioned Simmons' prior suspension. Simmons comments about Lebron were made on "The Herd with Colin Cowherd," yet another ESPN show. The bilious tweets come weeks after reports have circulated that Simmons may be thinking of striking out on his own. He's in the last year of his contract at the network. His shell shocked fans also took to Twitter to encourage Simmons to cool off and to avoid another suspension, or worse. "Don't get suspended/fired, Bill!" and "here comes the month long suspension." Late Thursday afternoon, Golic took to Twitter to clear the air tweeting, "Spoke to Bill, all is good. I'll discuss on show."